Christmas advent calendars have evolved. No longer do we have to open up a tiny, cardboard door and be teased with a nibble of chocolate on these cold December mornings. Beauty advent calendars arrived for 2017, and in a huge way. From ASOS to Harrods and Charlotte Tilbury to Benefit; this year the hottest brands in the beauty industry have created to-die-for calendars for each and every beauty lover out there. With some holding 12 Christmas treats and some 24, whether you’re a nail polish fan or have a blusher obsession, these advent calendars are sure to get your pulses racing and there’s something for everyone. And not to worry – if you’re a little late, it just means you get to open up all the doors at once! There are so many amazing calendars to choose from, but here’s an edited selection of those still available, to inspire you to head out to the shops for your own. 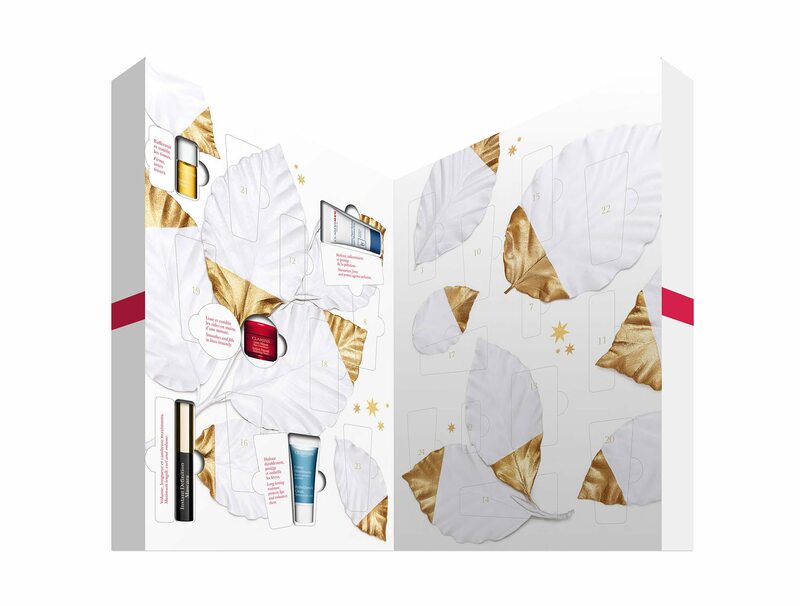 With a value of £90.57, the 12 Days Of Beauty Calendar by Feelunique contains a stunning collection of multi-brand minis, like Elizabeth Arden’s Superstart Skin Renewal Booster, Professional Uniq One Hair Treatment by Revlon and Lip and Eye Cream from The Organic Pharmacy. The sample sizes are just enough for a little Christmas treat, each morning. 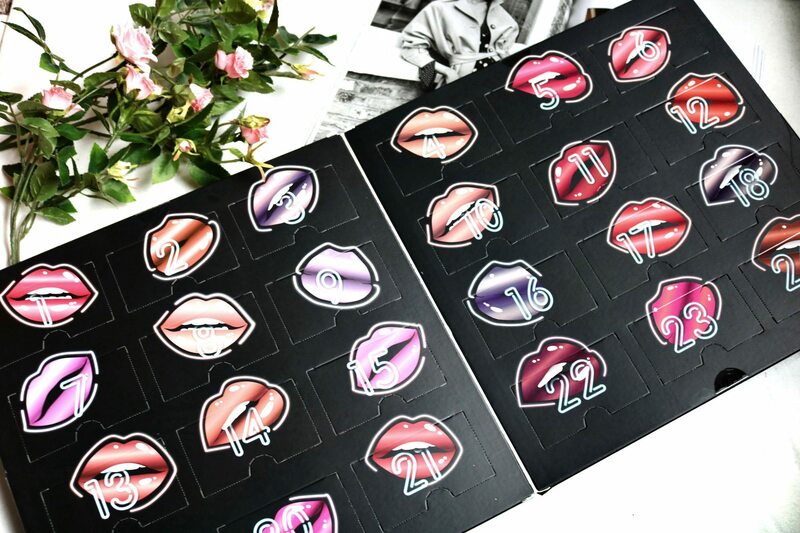 For all the lippie lovers out there, the NYX Professional Make-up Kiss & Tell Advent Calendar could be the one for you. With 24 treats available, each December morning you’ll receive a brand new mini Butter Gloss or, maybe, a velvety Matte Lip Cream. Charlotte Tilbury’s Naughty And Nice Magic Box advent calendar celebrates the 12 days of Christmas in style. Incorporating both minis and full-size versions of some of the brand’s bestselling products, the calendar includes full-sized Eyes To Mesmerise eye shadow cream, as well as full-sized Lip Lustre in the rich, deep shade of Unleash Me. The calendar also includes a selection of minis from face masks to mascara. 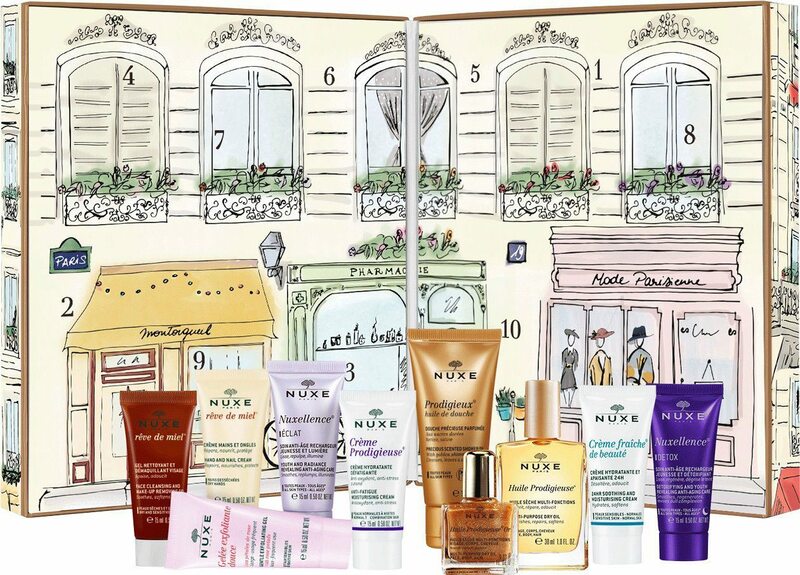 The NUXE Christmas calendar offers 10 days of beauty goodies. From hand and nail creams and lip balms, to make-up remover and shower oil, the NUXE calendar gives you a taster, in minis, of skincare loveliness. 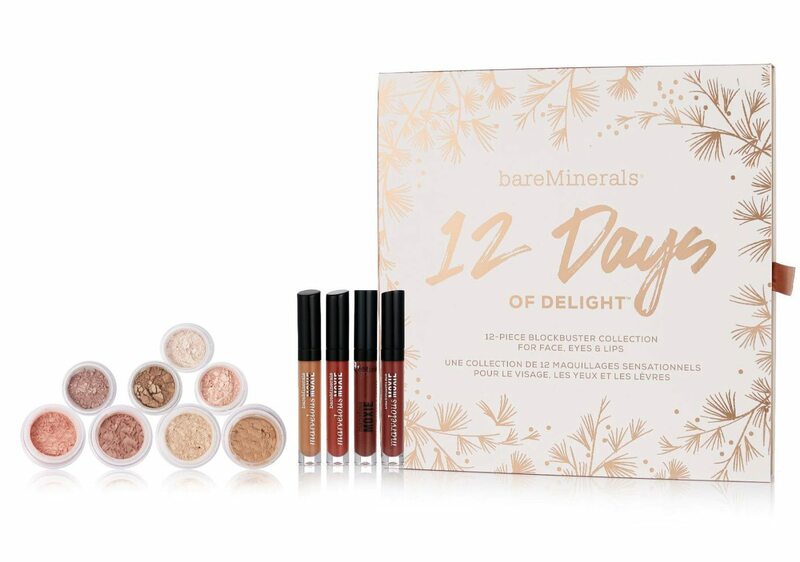 The Bare Minerals advent calendar offers “12 Day Of Delight” for the face, eyes and lips. With best selling products included, such as their All Over Face Colour and several Moxie Lip Glosses, the run-up to Christmas is sure to be bright. 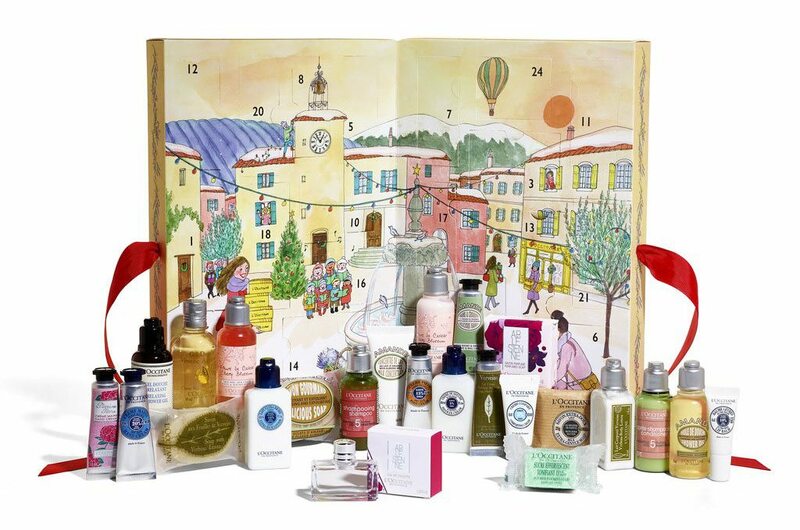 With a huge collection of 24 miniatures to try from L’Occitane’s bestselling items, their Classic Beauty Advent Calendar includes everything a girl could wish for. Perfect for any skin care lover, the daily goodies include soap, hand cream, shampoos, shower oils and body lotions. Blending a mixture of both skincare and make-up treats, the Clarins Precious Holiday Advent Calendar gives you £145’s worth of daily surprises. Included are full-size Moisture Rich Body Lotion and samples sizes in everything from scrubs through to mascara. Regardless of whether you’re into your skincare or or more of a make-up girl, whichever beauty advent calendar you decide to opt for, get in there quickly before they’ve all sold out! 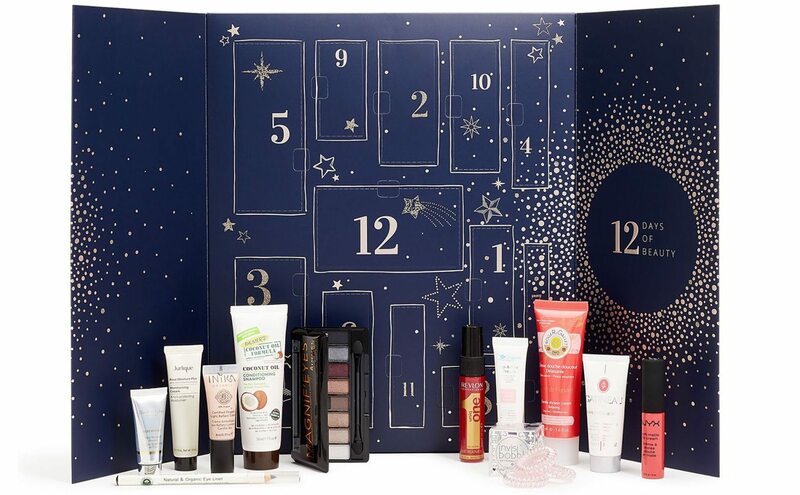 What’s your favourite beauty advent calendar this Christmas and why? Share your opinions with us in the comments on Facebook and Twitter.